You all know by now how much I LOVE to make custom plates for each holiday. Back here when I first showed you the idea on my Personalized Back to School Plates, I could only imagine where this new obsession would take me. 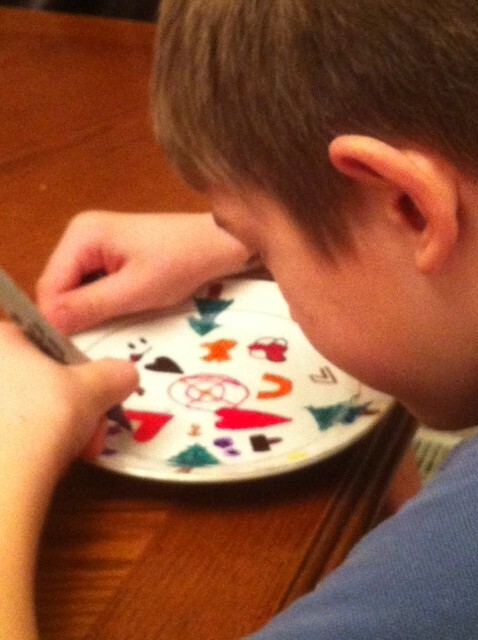 I now have plates for all types of holidays and themes and it makes setting the table so much fun for my kids. 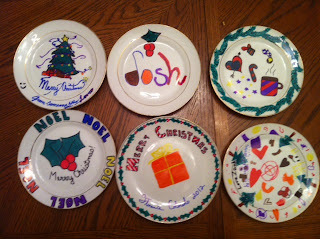 While I have made a few Cookie plates for friends this Christmas, I haven't made any for our family. I'll be honest, with all the kids' activities, working full time, and all the other responsibilities of the season, there just hasn't been a lot of time. So when I saw these amazing DIY Santa Plates by Rachel at Sun Scholars, I knew I'd found my next plate project! I love the idea of using a dessert plate and saving these through the years as your Christmas treat plates. What a wonderful tradition to start. I can only imagine years from now when the kids are grown with kids of their own, being able to eat off these memories. I think I'm going to go pick up a set of dishes on my way home and have a family Quiet night tonight. It will be a wonderful break from the hustle and bustle of this week, and it will be one more memory to share. UPDATE: We made these plates last night...at first I had to force the family to join me, but after a few moments, even Drama Queen and The Perfectionist were having a good time, and the plates turned out wonderful. This is DEFINITELY a new family tradition!